Condition is Used. Serial numbers will be noted for security reasons. Selling two EVGA NVIDIA GeForce GTX 980 Ti Hybrid Liquid Cooled 6GB GDDR5 Graphics Card each card is $230. Condition is Used. Original Box is included. Please ask any questions prior to purchasing. Cards have been taken care of. Stock fans were replaced with corsair fans. 100% working condition. Radeon RX 580. Graphics Engine AXRX 580 8GBD5-3DH/OC. A New and More Powerful Devil is waked! AMD App Acceleration. AMD CrossFire™ Technology. AMD Eyefinty Technology. AMD Stream Technology Support. Condition is Used. No Overclock. Never mined on. Original Box. ATI Radeon 4670M 256MB Graphics Card Heatsink. For iMac 21.5" Mid 2010 Core i3 3.06 Ghz Logic Board A1311. Part removed from Working iMac. Compatible with 21.5" 2010 iMacs ONLY. RAM-Typ: GDDR5-RAM. Grafikprozessor: AMD Radeon RX 580. Speicher: 8GB. Hinweis: schneller getaktete Gaming X 8G Edition, 2-Way CrossFireX Unterstützung, Vulkan: 1.0, Dual-Slot. Fertigung: 14nm. GPU-Takt: 1257MHz, 1350MHz (Boost). NVIDIA QUADRO 4000 VIDEO. Nvidia Part No:VCQ4000-T.
GPU: AMD Radeon RX 470 Graphics. - Firmware: Quad UEFI BIOS. - Bus Interface: PCI-E 3.0 x 16. - Cooling System: Dual slot, Dual Fan. - External Power: PCIe Graphic External 1 x 8 pin. - HDCP support: Yes. HDMI 2.0 Port(s):1. ASUS GPU Tweal II Utility. Gross Weight:0.62Kg. 12 Months Warranty . Helpful Links. Gaming Accessories. Peripherals & Accessories. PC Components - Other. NO DRIVER. BOOST CLOCK 1306 MHZ. BASE CLOCK 1202 MHZ. OPENCL 2.1. OPENGL 4.5. VULKAN 1.0. SUPPORTA DIRECTX 12. PNY GTX 780 3GB. NVIDIA GeForce GTX 700 Series. GeForce GTX 780. NVIDIA Shield-Ready. NVIDIA PhysX technology. NVIDIA 3D Vision-Ready. 3-way NVIDIA SLI-Ready. NVIDIA CUDA technology. 100% functional. Refurbished by Dell. Video Card only. We are sure the problem can be resolved ! Local Pick Up: Pick up is available! Hawaii, Alaska, Canada, & PR : Yes! Removed from my old computer & barely used for gaming.Works great. 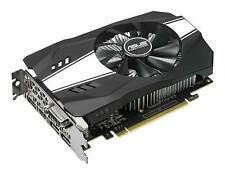 ASUS EN210 SILENT/DI/1G3/V2(Lp) 1GB Scheda Grafica Video Nvidia GeForce 210 HDMI. EN210 SILENT/DI/1GD3/V2‏(LP). GeForce 210. VENDITORE PROFESSIONALE. DDR3 SDRAM. California Law. This is non-negotiable. The RMA is Processed. Back To Top. Send the Product to us. Portable DVD players with LCD screens. LCD containing desktop monitors. Laptop computers with liquid crystal display (LCD). Dell Part Number: RCFKT 0RCFKT CN-0RCFKT. NVidia Quadro K5000 4GB GDDR5 DVI-D DVI-I. NVidia GPU Model Number: Quadro K5000. GPU Model: NVidia Quadro K5000. Video CardRCFKT 0RCFKT CN-0RCFKT. DirectX 11. Manufacturer Refurbished by Gigabyte. No Graphics Card, No Video Card, No GPU. (Fits Single Fan Mini GPU) May show slight signs of use. Gaming Box Enclosure, Carrying Bag, and cables ONLY. (Fits Single Fan Mini GPU). GIGABYTE GeForce GTX 1660 OC 6G Graphics Card, 2 x WINDFORCE Fans, 6GB 192-Bit G. Condition is Used. WINDFORCE 2X. GeForce GTX 1660. NVIDIA GeForce GTX 16 Series. DirectX 12. CUDA Cores 1408. Virtual Reality Ready. Part/Model Number: Quadro K2000 / Dell P/N: 00JHRJ / 0JHRJ. DP/N: 0JHRJ, 00JHRJ. 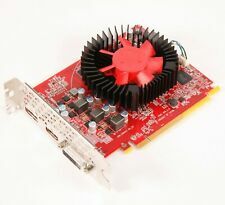 Nvidia Quadro K2000 Desktop Video Card. Model: Nvidia Quadro K2000. Drivers can be downloaded from the nVidia website. Zotac GeForce GTX 970. DVI-I, DVI-D, HDMI, DisplayPort. Two 6-pin PCI-E power connectors. Dual slot dual fan cooling. 1664 processing cores. Lightly used GTX 1060. Operates with no issues. Used but fully working and tested Powercolor Red Devil RX 580 8GB Golden Sample. 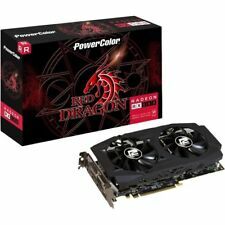 PowerColor Red Devil Radeon RX 580 8GB GDDR5, No Reserve, Priority Shipping! Used but fully working and tested Powercolor RX580 Red Devil 8GB video card. Model AMD Radeon RX 570 RS Black Edition. Gpu Clock Speed 1264MHz. Cooling Component(s) Included Fan Only. Product Information. APIs Vulkan. It runs Quiet, smooth and vibration free. Never had any over heating issues or graphical issues with it. I had it for about two years. Sapphire Nitro RX 570 8gb Used Good Condition. I bought the cards, tried mining cryptocurrency with then for a few months, but that didn't work out. They have been sitting on a shelf for a while and I am trying to get rid of them. They have unmodded bioses, and they ship in the original box, with matching S/Ns. Shipped with USPS Priority Mail. Make: Dell Model: 0K5WCN UPC: None. MPN 0K5WCN. SECURIS PROMISE. Q: Are Your Prices Negotiable?. Q: What Are The Warranty Details?. Then, place a new order for the item of your choice. KFA2 GTX 680 2GB. Allows for full support in MacOs Mojave in Mac Pro 5.1 Models. The card is ingreat condition and is f ully functional, stress tested, and clean. Includes GPU only. Sapphire R9 Nano 4GB video Card with drivers - quiet fan - barely even used. These Nanos are in great condition. You will be satisfied! WAs bought and opened but never used. In perfect condition. Easily upgrade and customize your preferred level of desktop-class performance with support for PCIe desktop graphics cards for work or play. AMD Radeon RX Vega 56 Air Boost 8G OC Edition from MSI. Condition is Used. It is missing one of the two 6 to 8 pin power chord adapters. You should not need them if your power supply has 8 pin vga power. Shipped with USPS Priority Mail Medium Flat Rate Box. Zum Verkauf steht eine GIGABYTE GeForce GTX 1070 Windforce OC 8GB GDDR5 Grafikkarte (GV-N1070WF2OC-8GD). 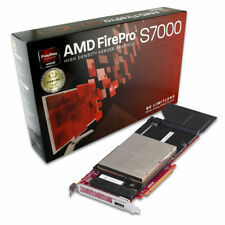 Speicher8GB GDDR5, 2000MHz, 256bit, 256GB/​s. BesonderheitenH.265 encode/​decode, NVIDIA G-Sync, NVIDIA VR-Ready, NVIDIA 2-Way-SLI (HB-Bridge), HDCP 2.2, 0dB-Zero-Fan-Modus, Basis-Takt übertaktet ( 76MHz), Boost-Takt übertaktet ( 88MHz). Radeon Rx 580x 4gb Gddr5, great condition barely used. Condition is Used. Shipped with USPS Priority Mail. HDMI Port(s): 2. Gross Weight: 1.24Kg. This is a graphics card only, without any accessories (driver disc, manual, cables etc. are not included). 12 Months Warranty . Graphics Cards. DirectX Support: 12. Please see photos. This is the precise item you will receive if you win the auction. Shipped with USPS Priority mail. Part Number: 58C8T. Assembly P/N: 58C8T. - Dell Precision M90 Laptop. 512MB Video Card. Manufacturer: DELL / nVidia. Condition: NEW. PRODUCT : NVIDIA GTX 780TI 875 Base Clock 928 Boost Clock 3GB Graphics Card. CLOCK SPEED : 875 BASE CLOCK, 928 BOOST CLOCK. SERIAL NUMBER : 1412572881001653. We cannot fix situations we are unaware of. MSI NVIDIA GeForce GTX 660 (N660-TF-2GD5) 2GB / 2GB (max) GDDR5 SDRAM PCI. Condition is Used. This card is being sold as-is, without a warranty of any kind. EVGA NVIDIA GTX 1080 SC Gaming 8GB GDDR5X PCI 08G-P4-6282-KB. Condition is Used. Shipped with USPS Priority Mail. GTX 580 3GB EVGA Classified - Rare Card!